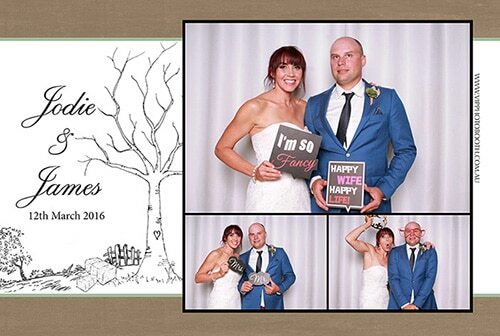 Many times we have had our VIP Photo Booth at many of Melbourne’s amazing venues. This was something else, not a reception venue but the couple’s very own farm property. 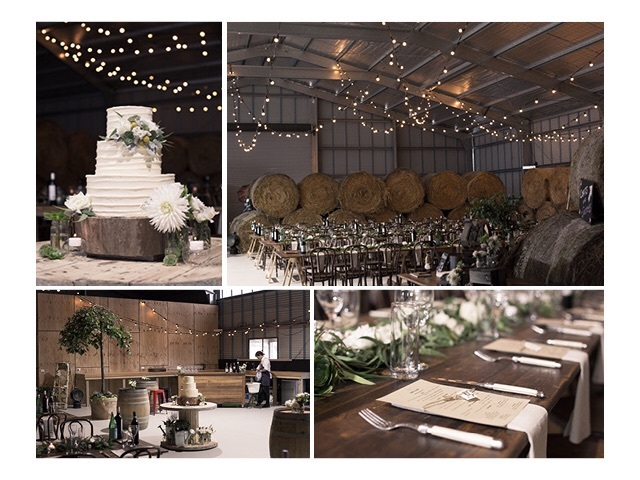 Transformed with a lot of labour of love, attention to detail and ambience, the spot had all the essentials to create a lovely rustic wedding. 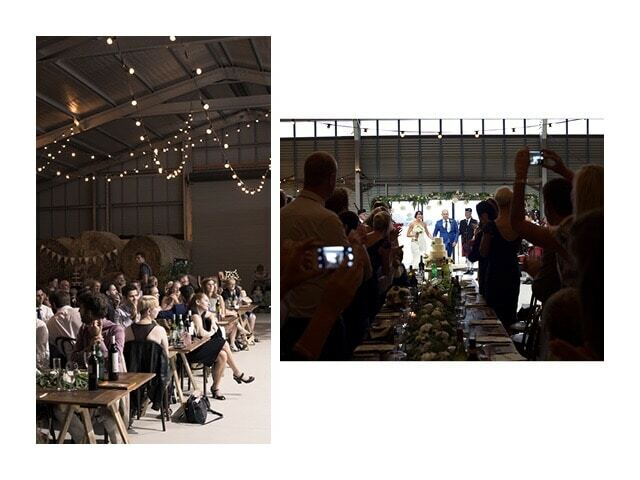 A perfect style inspiration for any bride wanting a rustic theme. Jodie and James who wed March this year celebrated their magical and beautiful wedding at Queenscliff, Victoria Australia. 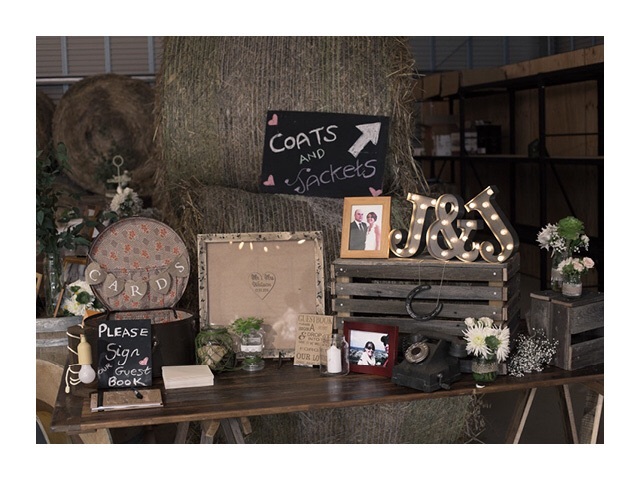 The farm barn where the reception was held, came to life with these gorgeous rustic elements. Everything looked organic and romantic with the set of neutral tones and white lush flowers. The atmospheric lighting felt like the stars had come down to light the romantic setting. Old travel cases, farm hay, oranges and jars. Who would’ve thought it could make everything look so well together. 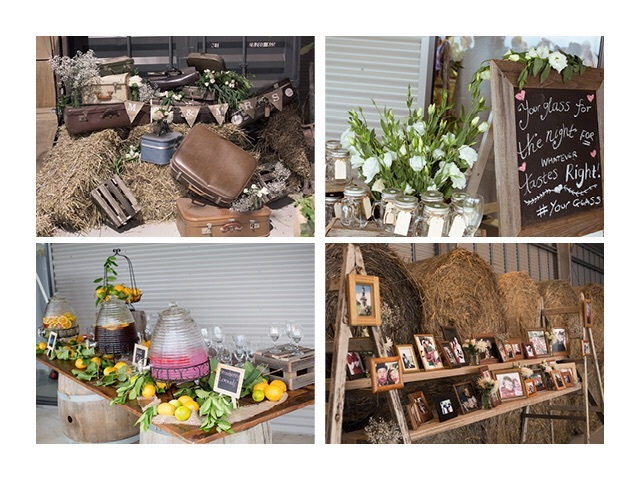 Guests were treated with a drink station and shown a collection of the couples photos not via by slideshow, nor an electronic screen but the old fashion way with wooden frames. We were in awe of the size of the property and the peacefulness it brings. Imagine living here! It felt relaxed during canape’s and children felt free playing with bubbles and roaming about. Giant LOVE letter signs were on display, could it be a sign of the big love James and Jodie have for each other? I’m sure everyone felt the love. 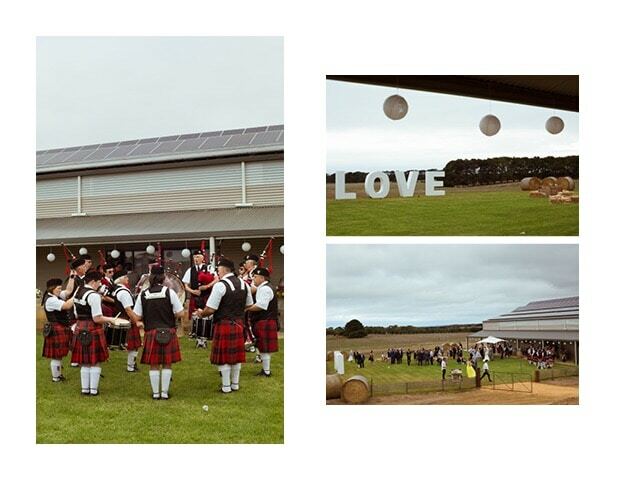 Playing in the background, the Geelong RSL pipes and drum band performed their musical number till it was time to enter the barn. The moment had arrived, everyone waited patiently in excitement for the bride and groom to enter the venue! The bride and groom were welcomed with adoration from their many family and friends. The claps and smiles of everyone lit the intimate setting. Dancing thongs were even provided for those who wanted to get comfy and set some moves on the dance floor. It was sure a wonderful night. 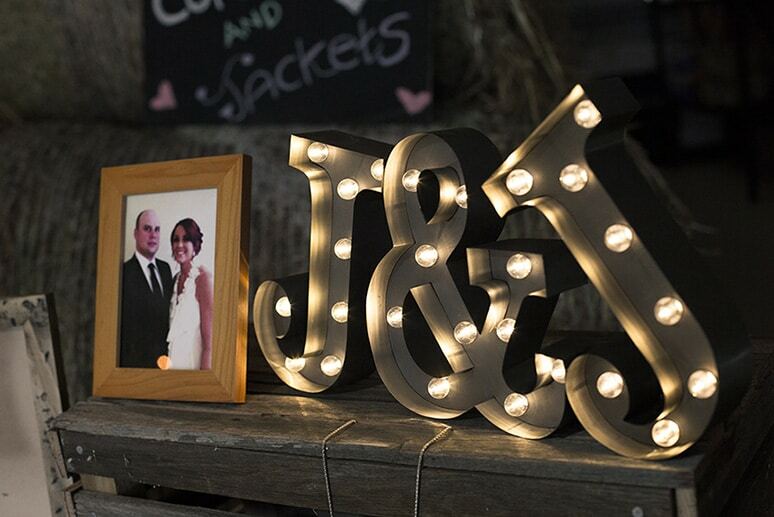 The combination of rustic and romance together set an unforgettable night for Jodie, James and their guests.